This map displays territory of Russia. map of Nizhneangarsk и OziExplorer calibration this. map of Yevdokiyeskiy presented. map of Ust'ye with gps calibration for you. 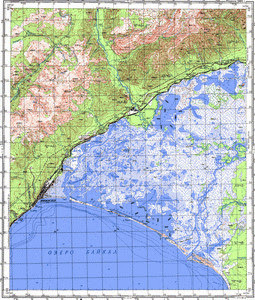 topographic map of Molokan и OziExplorer calibration for Garmin. detailed map of Malyy Turkukit calibrated for Garmin. interesting map of Kholodnaya и OziExplorer calibration for Garmin. free map of Dushkachan и OziExplorer calibration presented. free map of Dagary for gps. map of Chichevka for you. interesting map of Akukan free download.